I just signed a petition to The New Jersey State House, The New Jersey State Senate, and Governor Chris Christie: We, your NJ constituents urge you to fix NJ law by eliminating the statute of limitations for child sexual abuse and expand the categories of those who could be held responsible when they put our children in harms way. Pass bills S1651 and A2405 unchanged, in the Senate and Assembly. And we call on you, Governor Christie to please sign it into law. Lawmakers have a choice... vote to protect our children not the sexual predators and the institutions that have harbored them. Why Do Orthodox Communities Cover Up Sexual Abuse? The post bemoans the way the case of Nechemia Weberman in Brooklyn is being handled. Weberman is the latest in a line of frum paraprofessionals to be accused of molesting the youths they counsel. In Weberman’s case, immediately after the accusation came out, the community pulled together a massive fundraising effort on his behalf to pay for his legal fees. 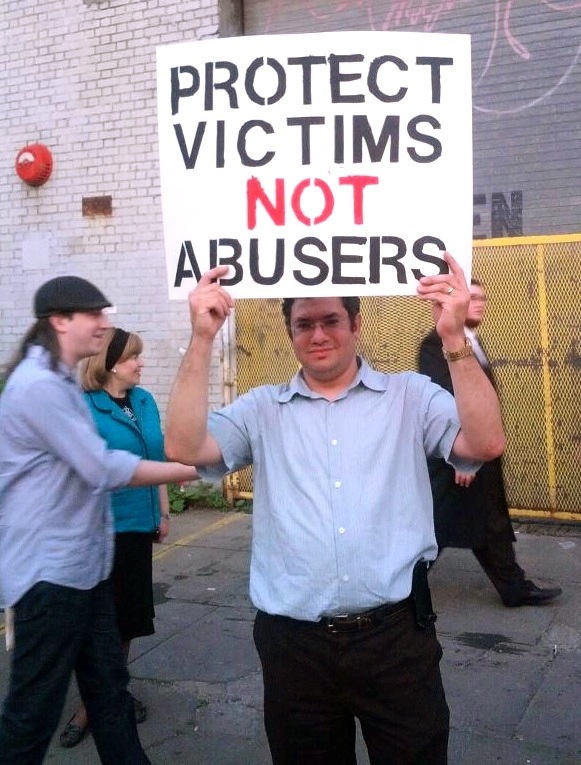 To many activists and advocates for victims of sexual abuse (myself included), this is infuriating and intolerable. Many have asked why the Orthodox community is so awful in the way it handles child sexual abuse. Dr. David Pelcovitz, an acknowledged expert on abuse in the frum community, says that he speaks about the issue all over the world, and he is frequently embarrassed by secular authorities asking why the Orthodox community is more invested in protecting the perpetrators than the victims. It doesn’t look good, to say the least, and it is truly painful and embarrassing to the many Orthodox Jews who wish their community would live up to its own standards. I feel that Pearl’s post, and the encouraging comments that follow it, stop short of providing a solid explanation for this disgrace in our community. So here is my take on why this happens. For someone who really does “have” Torah, discovering that a Jew with a big beard and a reputation to match has been involved in something so deplorable as sexual abuse is sorrowful but not incomprehensible. It simply becomes clear that that person doesn’t actually have a real connection to Torah. But to those whose frumkeit is really just an external adornment, a robotic comportment, the Jew who looks the part but violates children sends the message that the community’s values – the values around which their lives revolve – are worthless or corrupt. It means that “frum people are wrong.” But frum people can’t be wrong, because that would mean that I am wrong. (This is similar to the reaction that we see people having when these matters come to light – “He can’t be doing these things; he’s a fine person, I’ve known him my whole life” – i.e., “I can’t be wrong!” See this video for an example of people saying exactly this kind of thing.) For such people, allowing that someone who looks and acts religious could commit such a heinous crime is be to undermine the very basis of their self-concept. This, I maintain, is why we see people vehemently, even violently reacting against anyone who makes an accusation of sexual abuse in their community, often in very short order. Ultimately, they are not protecting that person: they are protecting themselves. They are shielding their very identities, which have been built like castles in the sand on what others do and what others think, but unfortunately not on Torah. And when it comes to protecting a weak sense of self, people will go to very great lengths, at very great cost. I reread my previous post on Darkness to Light's Stewards of Children program and I realized I didn't do justice to the website. The Stewards of Children program, as I said, may be unexceptional, but the site itself is really quite fantastic. They have a tremendous amount of information, resources, tools, trainings, etc., and I have no doubt that the world is a safer place because of them. I just didn't want anyone to think I was casting aspersions on the site as whole. 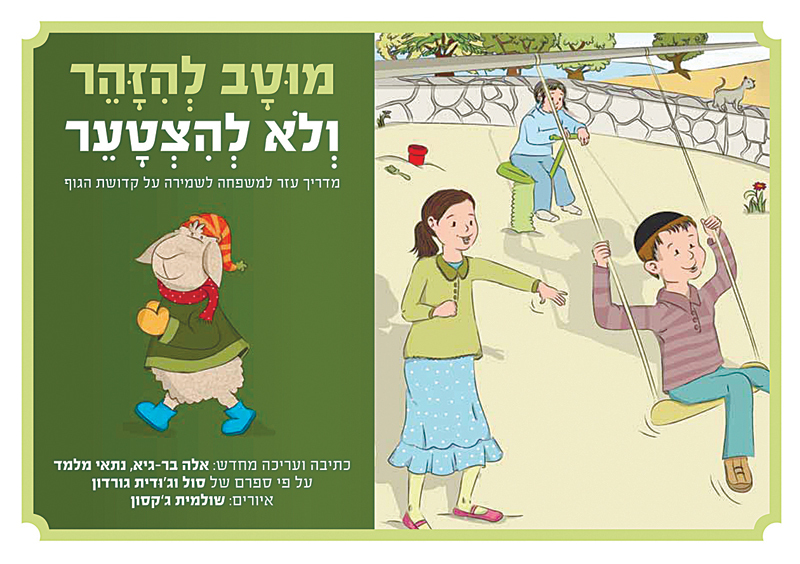 On Ha'aretz.com yesterday there was an encouraging article on the success of a new Hebrew book designed for the Chareidi (ultra-Orthodox) community which teaches kids how to stay safe from abuse. The fact that such a book finally exists is a major milestone - though from what the article says, it seems that it's a bit watered down to meet the community's need for modesty. Nonetheless, it is certainly helpful, and it is a great first step in addressing this issue in the community. 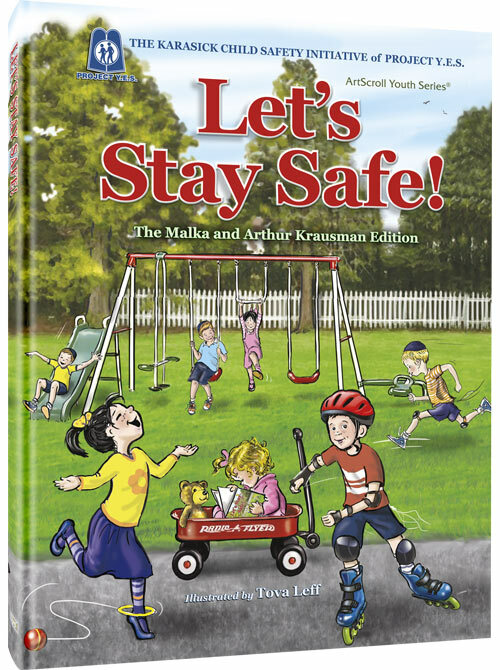 If you are raising your kids in Israel, it is definitely worth your while to get a copy! I just found out about another very useful online resource: a yahoogroup called Refa'enu, a support group for members of the Jewish community and their loved ones who face the challenge of living with a mood disorder. Check it out at http://health.groups.yahoo.com/group/refaenu.